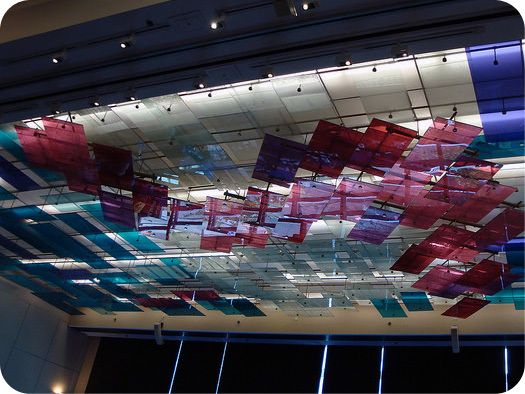 The day started out very early for us – we got to the venue at around 7am to begin set up. 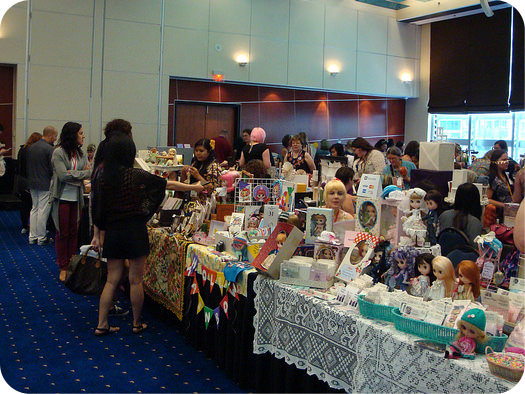 BlytheCon Vancouver was hosted at the Sheraton Vancouver Wall Centre Hotel, located in downtown Vancouver, BC. It’s a fairly central location in an area with a lot of hotels, a beautiful pubic park right in front, and easily accessible via public transit – all major selling points to us when we were deciding on a venue! 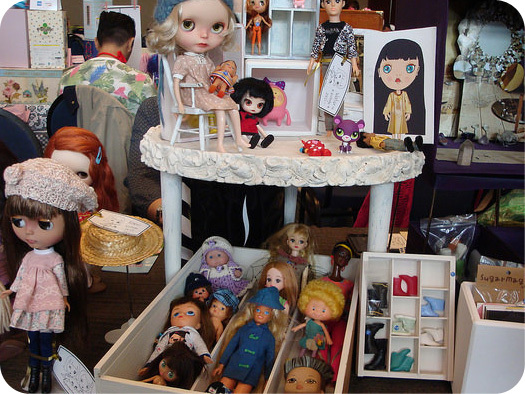 We had some photo displays set up for people to take photos, and some included props and stands or chairs so your own dollies could join in the fun! 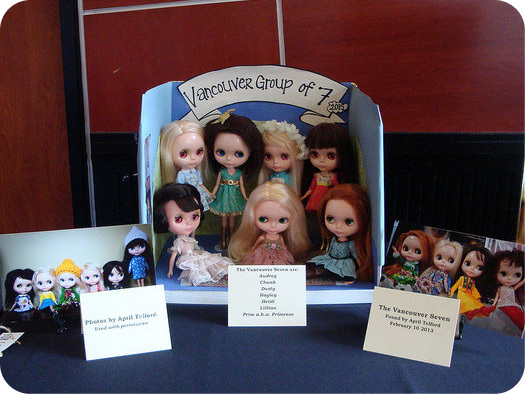 My favourite had to be the set up for the Vancouver 7 Kenner Blythe dolls. In the back is Lillian, Primrose, Heidi, and Chunk. In the front row and sitting is Dusty, Hayley, and Audrey. 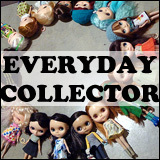 The fun thing about these dolls is that they were all originally owned by the same woman, and now they’re all owned by members of the Vancouver Blythe Bunch (what we call our local doll group). We had lots of votes for the photo contest! First place photo #3 (the one with the dinosaur bridezilla! ), second place was #6 (the hungover bride in the wagon), and third place was #4 (appropriately titled “Shots!”). Congratulations to all of the winners and thank you to everyone who submitted an entry! 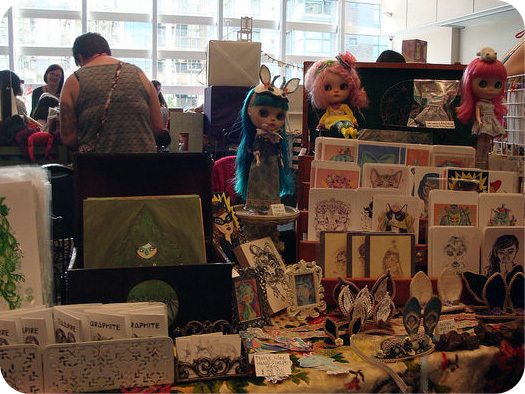 Rhododo’s Nest had fun art prints and ears in sizes for dolls and their people! These were just so much fun, and I saw some people walking around with bunny ears on – so cute! 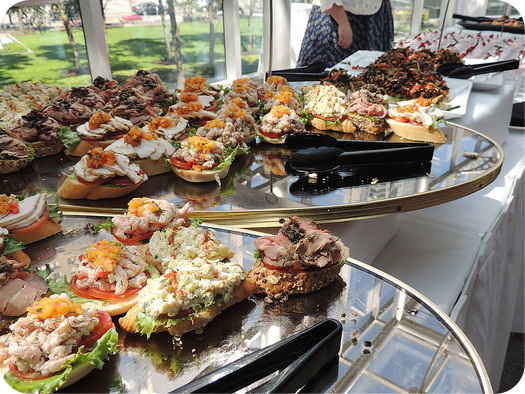 Lunch was catered by the hotel and it was amazing. 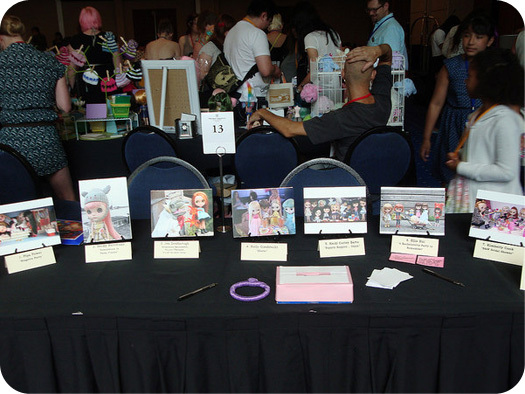 I didn’t remember to take photos of the spread, but JennyTheArtist did! The next three photos are by JennyTheArtist, used with permission. 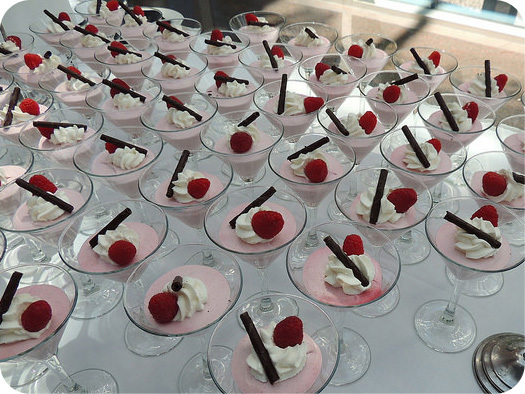 I loved the raspberry mousse (in the martini glasses! 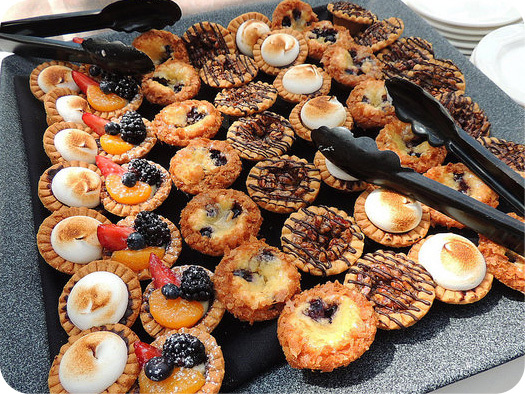 ), and the tarts were to die for. My favourites of the tart were the lemon and the blueberry ones. So delicious! 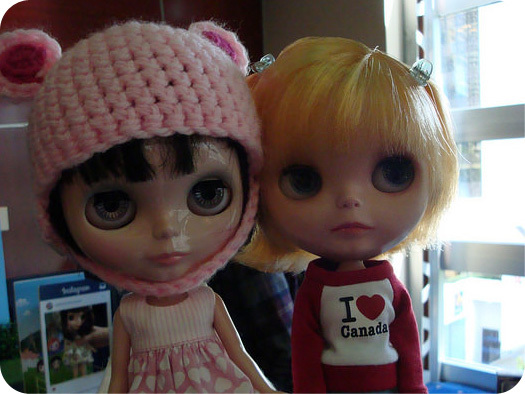 I had a lot of fun at BlytheCon Vancouver – but I do feel a bit biased saying that! 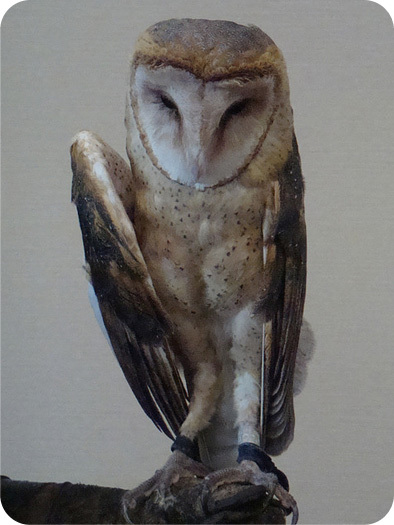 I didn’t manage to get good photos of Snoopy the Saw-whet owl, who was very cute and well-behaved during the Nicky Lad group photo! 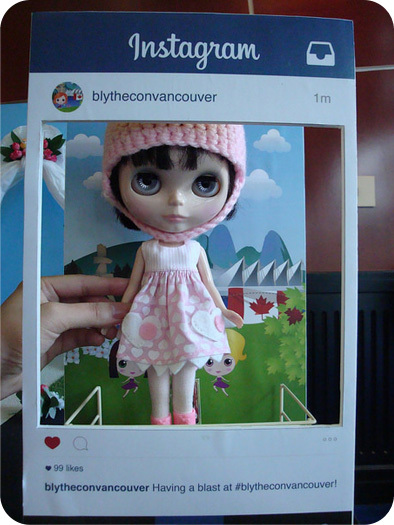 We will share photos taken by a professional photographer on the BlytheCon Vancouver website soon! 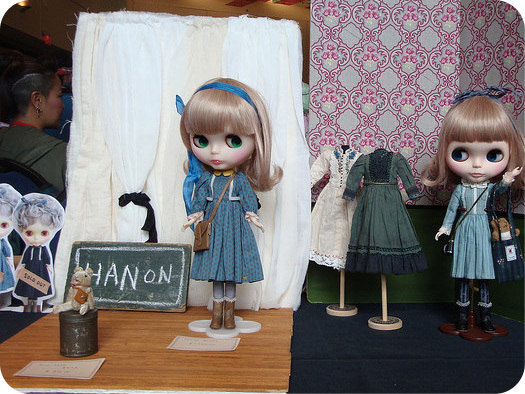 Lillian’s wearing: dress/Plastic Fashion, shoes/Velvet Minuet stock. Primrose’s wearing: dress/Kult of Kulta, bow/Kult of Kulta, boots/Jemgirl. Eden Mouse’s wearing: helmet/chelleshocks, dress + cape/Buttonarcade, tights/unknown, boots/Barbie. It all looks so awesome! Were the O.W.L. people bemused at their surroundings? I definitely think that they were entertained by everything! 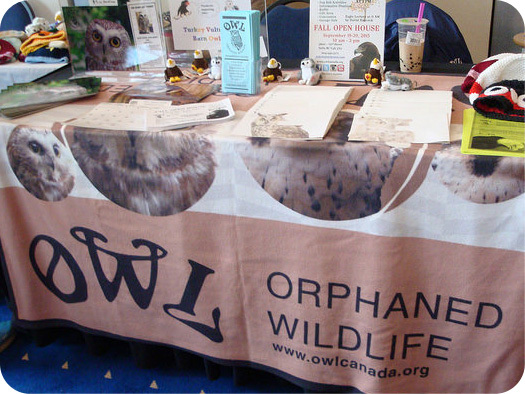 They had a lot of educational materials, and they were very eager to talk about what they do at their facilities though – so that was good! I really enjoyed chatting with some of the O.W.L. people about their work 🙂 All 4 of the O.W.L. 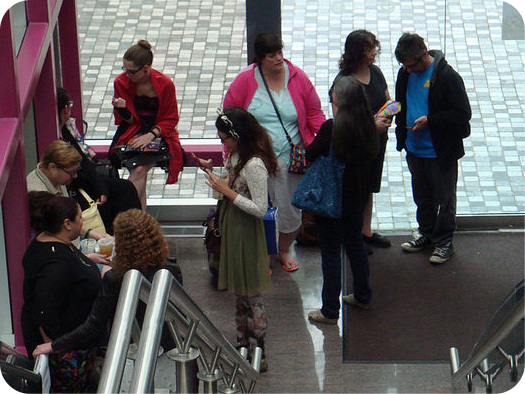 people that attended had volunteered to come to BlytheCon 🙂 A few of them were paid employees, but they all volunteered to attend our event. 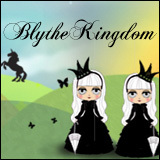 Do you have any tips or bits of advice for someone who’s about to go to their first Blythe convention? 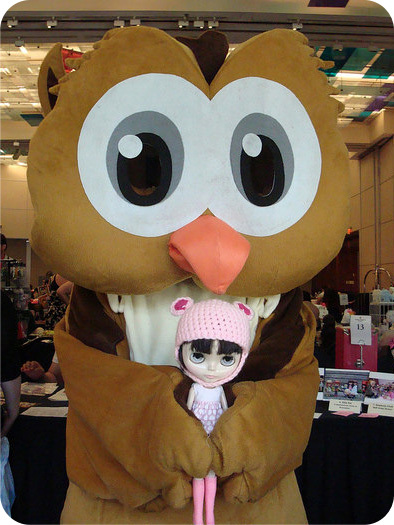 I’m kind of nervous as I’m not really super outgoing, and I have never been to anything remotely similar to a doll convention. If you’re wanting to stick to a strict budget, I’d recommend bringing cash only (no credit cards!). Bring as many dolls as you feel comfortable holding, bring stands, make sure your camera is charged (and extra battery, if you have one). For your cell phone, bring a charger (just in case!). 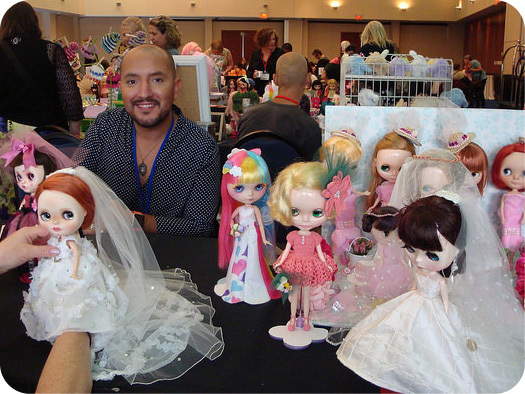 Bring an extra doll hair brush, or hats, for fixing dolly hair or when the dolls are travelling in your bag/carry bags. Helps keep it somewhat tamed. 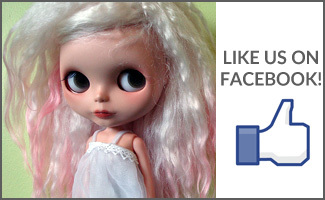 I’m not sure if I’ll bring my Blythe doll, for she’s a custom–and I can’t shake this sense that she’s somewhat fragile and delicate. But I will definitely remember your other tips. 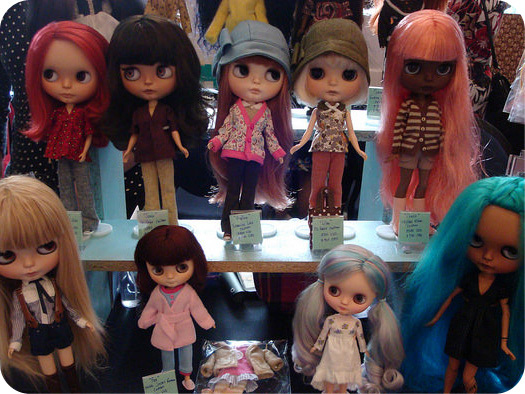 I’m hoping that some vendors might have stock Blythes for sale as well. Beyond that, your recommendation about cash only is something I will remember.